JordAnn (Joey),1991, Bailey, 1995, Shawn, 1998 and Chris, 1998, Katie, 1982, Jed, 1986, Nicole,1988 More…and 5 grandchildren with another on the way. Which junior high did you attend? Karen Verd Bunce has a birthday today. Karen Verd Bunce posted a message. Unfortunately I will not make the 30th year Class Reunion, so please take a lot of pictures. If there is to be a 35th year Class Reunion then I will be there for that one....have fun everyone!!!! 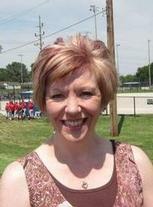 Karen Verd Bunce updated her profile. View. Karen Verd Bunce changed her "Now" picture.